Providing you the best range of Information Kiosk such as Touch Screen Kiosk, Multimedia Kiosk, Stand Alone Kiosk, Interactive Kiosk, Transaction Kiosk, Dual Display Touch Screen Kiosk and many more items with effective & timely delivery. Backed by rich industry experience and domain expertise, we are involved in providing Touch Screen Kiosk. Our given product is known for its high durability and fine finish in the market. This product is developed from the best electrical components and hi-tech technology in accordance with universally verified standards. Also, our product is tested on several provisions for delivering a flawless range to the customer’s end. 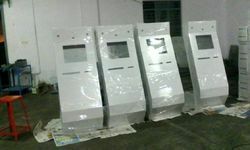 With support of our vendor’s excellent team workers, we have been delivering the best quality range of Information Kiosk. It is available in a variety of finishes and colors to creatively enhance any self-service venue. The offered range is procured from reliable vendors of the market. It is strictly checked on different quality parameters assuring its flawlessness at user’s end. In addition to this, clients can avail the offered range from us at market leading prices. 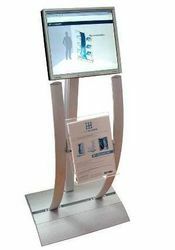 Stand Alone Touch Screen Kiosk 15 to 19 inch is an interactive touch-screen device which can be installed at public offices, banks, airports, supermarkets and retail stores. Not only can install a touch-screen sensor but also a keyboard, RFID, printer and scanner. 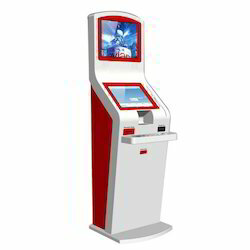 It is used as a internet computer, receipt issuing machine, parking guidance machine, and payment machine, interactive way-finder. Inner cabinet of K17 is designed/manufactured slim but it has a space to equip many devices. CR-Steel features glossiness and brightness of surface. It is thin, but has extremely strong hardness which makes K17 much sturdily. Powder coating is a special kind of painting which using the solid-powder instead of the organic solvent, and it is strong on peeling off problems. It shows an amazing gloss. The dual information kiosk applies to government agencies, bank, real estate, exhibition center, shopping mall, schools, hospitals, travel, station, telecom, library, recreation and many public consultation places. 2. 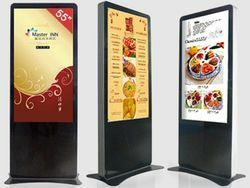 Besides SAW touch screen for system operation using, there is another screen for advertising or information display. The kiosk is avaiable in application for public information service. We can customize it for you, the color and appearance for your selection. 3. We can design many kiosks according to your need. 4. The kiosk has excellent quality and competitive price. 6. Cabinet: Steel cabinet sprayed metallic paint, moisture-proof, anti-rust, anti-acid, anti-dust. 7. Color: We can paint your own color, free of charge. 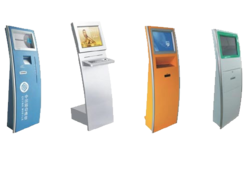 Our clients can avail from us a wide range of Kiosks which are widely applicable for the payment of bills and also for some other purposes. 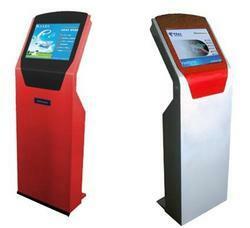 The powerful display of these kiosks is attractive for the clients. A series of hoardings can be easily run in these kiosks. 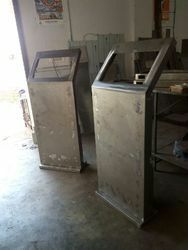 We test these kiosks before supplying in order to make it perform flawlessly. These kiosks are assembled using premium quality of raw material that assures our client with the durability and best performance. 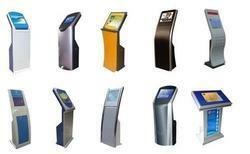 Elpro Technologies offers an array of self service Terminal solutions to meet the ever changing needs of its customers. The series ranges from a simple electronic cheque drop box to an advanced machine with high end functionality. A multitude of transactions like bill payment, recharge, imaged receipts, value added services (download games, tones, caller tunes), customer support services (account enquiry, mini statement), complaints logging, enquiries, service requests can be migrated from manned counters to self service terminals. The kiosks are available in varying designs i.e., wall mounted and free floor-standing one. The other advantages include good ergonomic design, branding opportunities and use of touch screen. 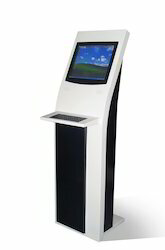 An Internet kiosk is a terminal that provides public Internet access. 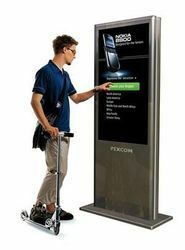 Internet kiosks sometimes resemble telephone booths, and are typically placed in settings such as hotel lobbies, long-term care facilities, medical waiting rooms, apartment complex offices, or airports for fast access to e-mail or web pages. Internet kiosks sometimes have a bill acceptor or a credit card swipe, and nearly always have a computer keyboard, a mouse (or a fixed trackball which is more robust), and a monitor. 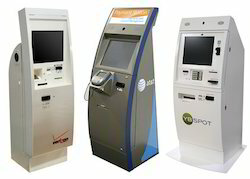 Some Internet kiosks are based on a payment model similar to vending machines or Internet café, while others are free. A common arrangement with pay-for-use kiosks has the owner of the Internet kiosk enter into a partnership with the owner of its location, paying either a flat rate for rental of the floor space or a percentage of the monthly revenue generated by the machine. Internet kiosks have been the subject of hacker activity. Hackers will download spyware and catch user activity via keystroke logging. Other hackers have installed hardware keystroke logging devices that capture user activity. Businesses that provide Internet kiosks are encouraged to use special Internet kiosk software and management procedures to reduce exposure to liability. A visitor management and security kiosk can facilitate the visitor check-in process at businesses, schools, and other controlled access environments. These systems can check against blacklists, run criminal background checks, and print access badges for visitors. School security concerns in the United States have led to an increase in these types of kiosks to screen and track visitors. Self Service or Operator Assisted Visitor ManagementEntry Cross is a visitor management and front office automation system. 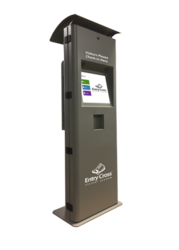 Entry Cross provides hardware and software to track all visitor and employee traffic in and out of your building while reducing the workload on front office personnel through self-service automation. The end result is a safer and more efficient school or professional environment. This is an innovative and tech savvy tool used in businesses for a number of applications. Can be used as a marketing tool and display machine in premises. It is made with the touch screen computer and relative hardware. Can be customized with printer, RFID and biometric reader, camera, and any type of desired computer accessory. Applicable in any type of industry with vast applications. 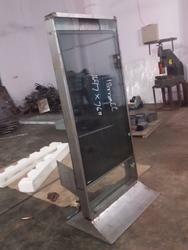 We are leading in manufacturing and supplier of Touch Screen Kiosk System in Chennai,Tamilnadu,India. 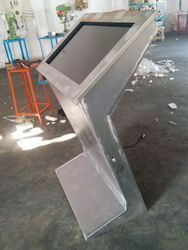 We are Manufacturing Kiosks System with high quality, rugged and slim designs. 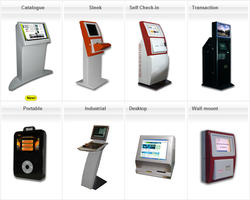 Our Kiosks System are quality assured and are recommended for easy operation. They are known for their advance technology and long service life. We are a renowned organization that is engaged in manufacturing and supplying premium quality Interactive Touch Screen Kiosk. 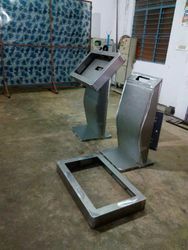 These kiosks are designed and manufactured using high-grade raw material and latest technology to ensure that final output meets with international quality standards and norms. 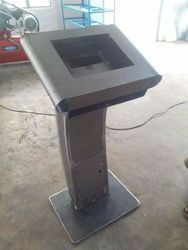 Moreover, we offer these kiosks in various sizes and designs at reasonable rates. 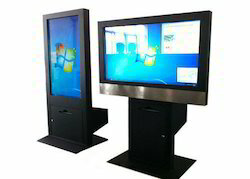 We are a preeminent organization that is engaged in providing our clients with Digital Touch Screen Kiosks. Precisely designed, these kiosks are manufactured in compliance with industry standards, using quality components, material and spare parts, obtained from trusted vendors of the market. Moreover, our offered products can be customized as per the needs and specifications by provided by clients. 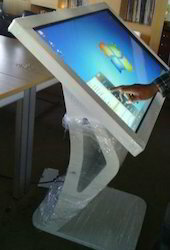 Android touch screen kiosk/Monitor avilable from 15 inch to 65 inch . We have developed the very best Android touchscreen hardware . ELPRO can help you to select the best hardware, software, installation options and ongoing support to ensure that your Android Kiosks are a success. Our LCD digital signage displays are widely used in Business Organizations, Financial Organizations, Non-profit Organizations, Public Places, Real Estate Property, Entertainments, Shopping Mall and etc. 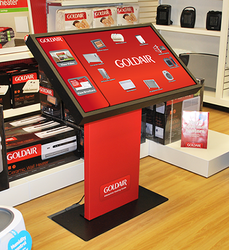 We offer our clients an exclusive range of Kiosk Display Panel. Completely tested Consume least power Long functional life Approx Prices: 10,000 to 20,000 rs. We are the topmost manufacturer and supplier of this domain, engaged in offering comprehensive range of Kiosk Display Panel. This Kiosk LCD Panel is widely used for picture clarity and less power consumption. We offer our clients an exclusive range of Kiosk Control Panel. We are a preeminent organization that is engaged in providing our clients with Kiosk Display Precisely designed, these kiosks are manufactured in compliance with industry standards, using quality components, material and spare parts, obtained from trusted vendors of the market. Moreover, our offered products can be customized as per the needs and specifications by provided by clients. 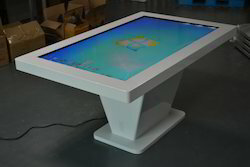 Our touch screen tables come in a variety of sizes and software packages to meet your needs. 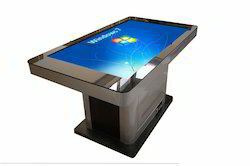 These multi-touch tables can be built into new table kits or installed into existing ones. Ranging from 24″-86″ in screen size, we can customize every aspect of your order, including shape, size, color, material, supports and company branding. Our competency lies in offering our clients an excellent quality range of Multimedia Kiosk. The offered kiosk is designed at our vendor’s end using optimum grade components and ultra-modern machines in compliance with set industry standards. We offer this range in several technical specifications in order to meet vast necessities of our valuable clients. Moreover, clients can avail the offered range from us at market leading prices. A kiosk is an interactive system designed for public use that delivers information or enables transactions. Standard or custom applications developed for information kiosks provide customers with information, the ability to participate in loyalty programs, and transaction capability. Enterprises deploy kiosks to increase customer loyalty, strengthen their brand with target customers, and reduce operational costs. Because kiosks are typically deployed at multiple locations without on-site technical support, remote management has become an essential part of many kiosk deployments. Without it, a crashed kiosk displaying the "Blue Screen of Death" will remain unusable until a technician or trained employee arrives to reset the machine. A remote management package, however, enables administrators to troubleshoot their kiosks remotely, dramatically reducing annoying crashes and costly on-site service visits. With the ability to change settings and update software remotely, kiosk owners can apply the latest content, security patches and antivirus software to their kiosks without ever making a service call. First and foremost, kiosk software such as Wire Spring's Fire Cast suite is used to provide a secure interface for public-facing kiosks. In many cases, kiosks are placed in environments where vandals might try to electronically attack and deface them, such as by pressing Control-Alt-Delete on the key board. As a first line of defense, software like Fire Cast OS will "lock down" the computer, making it inaccessible to intruders. 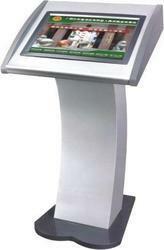 Interactive kiosk can introduce your organisation to visitors, and provide information on products and services. The kiosk provides a way for users to register themselves for future updates by email or post. User feedback can also be registered and sent to your sales or customer service department. 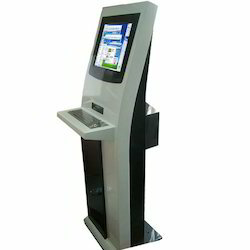 Ticketing kiosk can be used to sell travel, entry and lottery tickets. 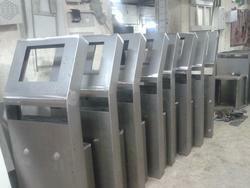 They are increasingly being used by transport companies, amusement parks, stadiums and lottery companies in India. Check-in kiosk are used at airports by airline companies, to provide quick check-in services to business passengers who do not carry check-in baggage. 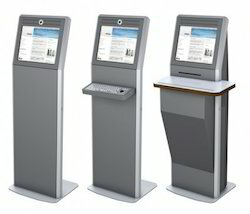 Reservation kiosk are used by hotels and transport companies, as well as their agents and travel websites. Bank Kiosk are one of the lead consumers of kiosks, and use them to provide customers with cheque collection, token dispensation and passbook updation services. Most of our Self Service Kiosks are also ADA compliant. 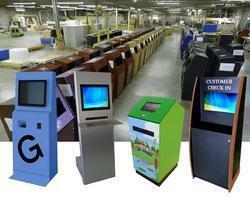 Every kiosk part has been tested to ensure that you receive a safe, durable and efficient system. You can rest easy knowing that our computer kiosks are ready to assist your customers. We reinforce their durability and dependability. We can supply you with complete kiosk solutions- including hardware, software, installation,remote management and support. 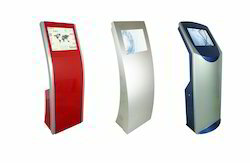 We have a range of standard kiosks, or we can design a new kiosk to meet your needs. With the assistance of our competent workforce, we are involved in manufacturing and supplying sturdily built Digital Signage Kiosk Our offered board is widely used in shopping malls, theatres and other commercial sectors. This board is manufactured using high quality materials that are procured from accredited vendors of the market. We thoroughly check this board on various parameters like superior finish and high strength. 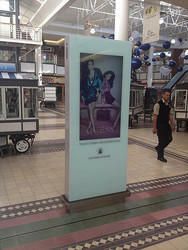 Clients can avail this Digital Signage Kiosk at market leading prices. Looking for Information Kiosk ?